October 16, 2018 11:50 am. 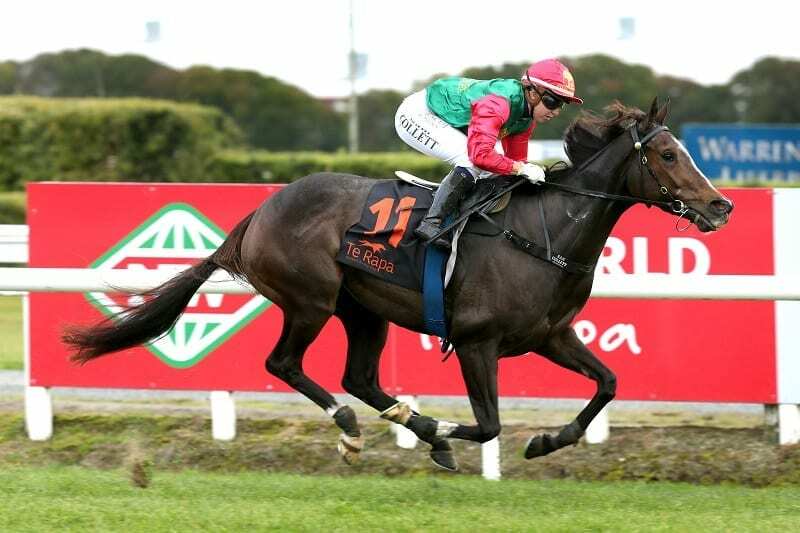 European import Igraine has hardly put a foot wrong since joining Robert Priscott’s Te Awamutu barn earlier this year and she is set to tackle stakes company for the first time in the Listed Jakkalberry Classic (1950m) at Rotorua on Saturday. The daughter of Galileo has won three of her four starts in New Zealand for Brent and Cherry Taylor of Trelawney Stud and Priscott believes she can continue that impressive strike-rate on Saturday. Igraine has had a month between runs and her trainer said the only slight concern was stepping back in distance to 1950m on Saturday. Danielle Johnson has been booked to ride Igraine on Saturday and is familiar with the mare having ridden her in her runner-up performance to Mauna Kea in the Interprovincial Challenge (1600m) at New Plymouth in August. “She rode Igraine at New Plymouth the start before, so she knows her well,” Priscott said. Igraine was purchased as a broodmare proposition for 65,000 Guineas in England by bloodstock agent Paul Moroney and her connections will be hoping she can add some black- type to her page on Saturday to aid her future career at Trelawney Stud.